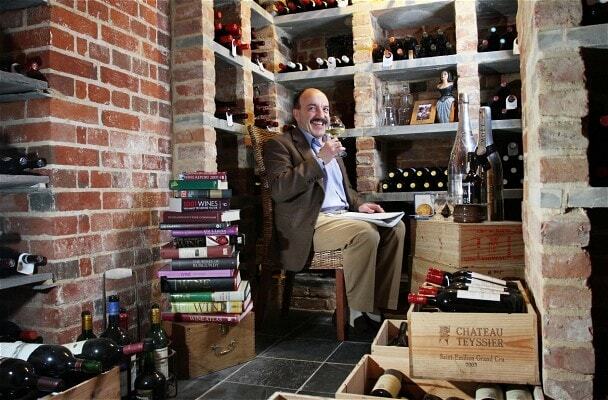 The news yesterday that Gerard Basset had died after his short illness with cancer was met with great sadness, but also an outpouring of admiration, memories and tributes to one of the most respected, influential and clearly loved wine figures in the world. He was also one of the most decorated and unique in being able to have MW, MS, MBA and even an OBE after his name. 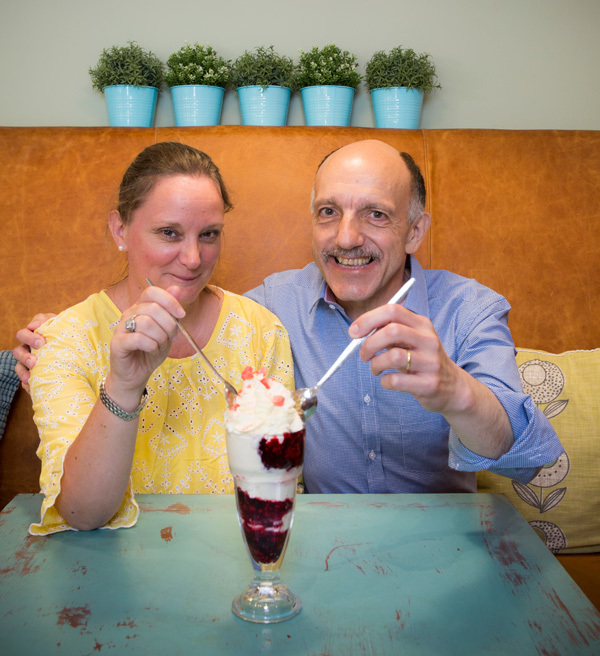 Here, in our own personal tribute to Gerard, we share the interview we did with him in the late summer of 2017 that at the time marked 10 years since he and his wife, Nina, opened Hotel TerraVina. We also looked back over such a memorable life that touched and influenced so many people. Here’s to you Gerard…You’ll Never Walk Alone. When we sat down with Gerard for this interview in August 2017 it was only a few weeks before he was diagnosed with cancer. As we all stop, reflect and pay tribute to this wonderful man, it is also an opportunity to remember and celebrate an extraordinary life and career that touched so many people. Here are his own personal memories of the many steps he had to take to make him the man, the colleague and the inspiration that we all now remember. 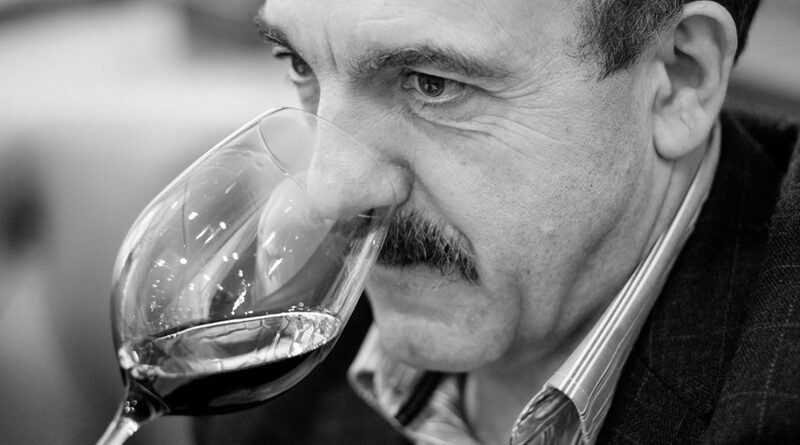 When you consider the illustrious career of arguably one of the world’s most influential sommeliers, then you would imagine it would be a romantic story about sipping wine in a famous French vineyard that sent Gerard Basset OBE, MW, MS, MBA, OIV MSc en route to the success he has subsequently had. It was actually a cold, night in Liverpool on March 16, 1977 that was the inspiration for Basset to, at least, want to start a new life and career in the UK, rather than spend a life in hospitality or become a sommelier and hotelier. It was the high octane drama of seeing Liverpool come back from a seemingly impossible position to beat his beloved St Etienne, in one of most dramatic Quarter-Finals ever of the European Cup, that was to convince Basset that he wanted to make the UK his home. 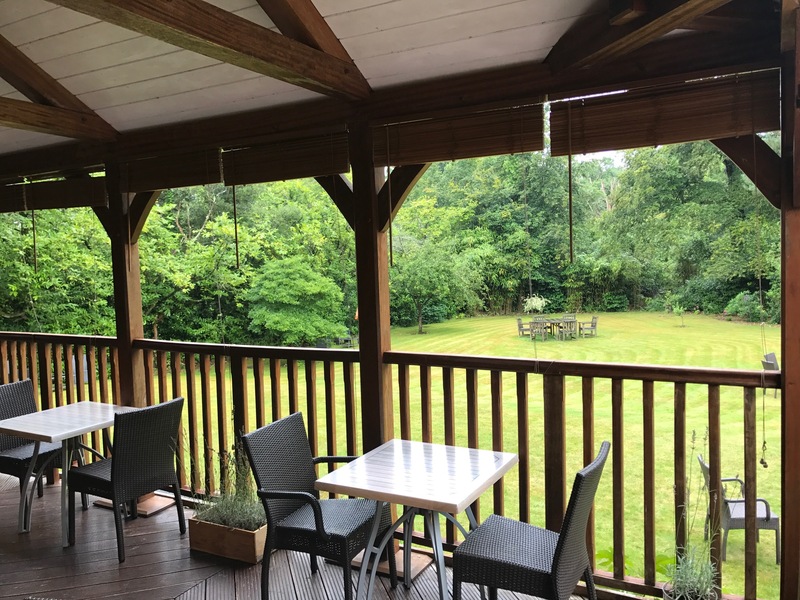 A journey that eventually took him to the heart of the New Forest – many miles from Anfield and Liverpool – where he has firmly established himself as one of the country’s leading hoteliers and restaurateurs. 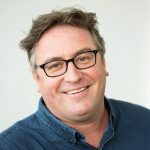 Initially with Hotel du Vin, which he founded in 1994 in Winchester with his former colleague and managing director, Robin Huston, from Chewton Glen, where Basset had been head sommelier. Tother they helped create a new style of boutique hotel, and were able to build up to a six-strong group before selling on to Malmaison in 2004. It was a pleasure to catch up with Basset, sitting on the beautifully appointed wooden terrace that sits looking down on the quiet TerraVina gardens. A spot more in keeping with an old colonial townhouse and typical of all the subtle design touches that make TerraVina such a unique, relaxed and memorable location. For Basset the inspiration for TerraVina actually lies in California and the kind of hospitality that he says is so common in the hotels and restaurants there. It certainly shares the same charm, warm personality, professionalism, and attention to detail that have made Basset such a highly respected, and loved figure right around the world. He is also quick to point out most of the praise for TerraVina’s success should go to his wife, Nina, as she is more involved on a day-to-day basis, as Basset is involved in so many other projects both in the UK but around the world. “I would not be able to do so much if it was not for Nina,” he stresses. In fact when he is not being the host with the most at TerraVina he spends on average about five months of the year travelling the world still visiting wineries, meeting new producers and sharing his insights and love for wine. “It’s a good balance to have,” he says. 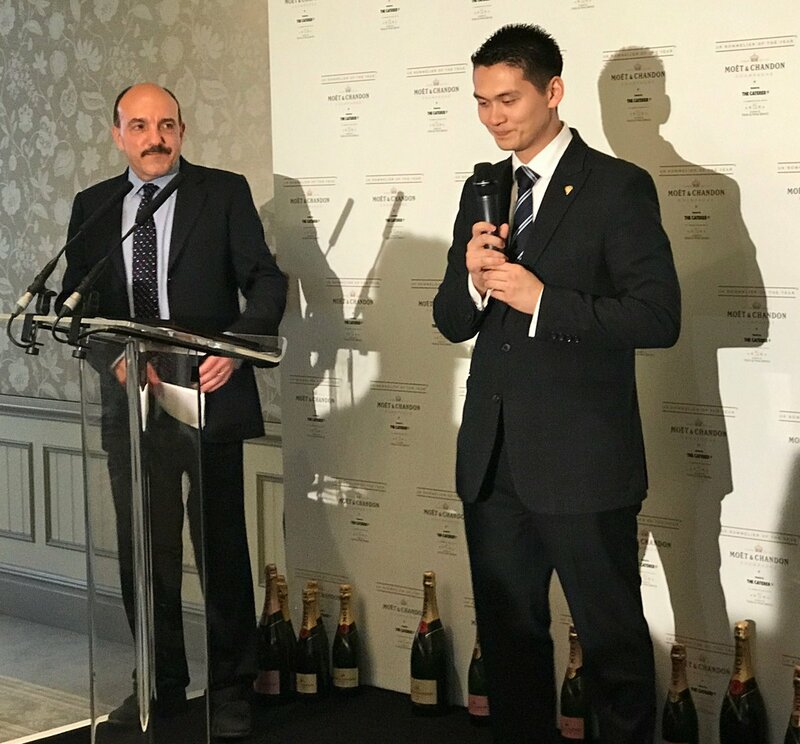 Gerard Basset introduces Mathias Camilleri, head sommelier of Five Fields, who is Moët UK Sommelier of the Year 2017. Most of all he is helping guide and influence the next generation of great sommeliers with his role as the head of the technical committee and Master of Ceremonies for the prestigious Best Sommelier in the World competition, run by the ASI (Association de la Sommellerie Internionale), which run events around the world which cover Europe, Asia, the Americas and the overall world event. It is a role he takes incredibly seriously and sees him meticulously plan and present competitions that can take up many weeks of his year – all unpaid. He is also uniquely qualified to have such a role. Basset’s determination and desire to continuously challenge himself by taking part in more competitions and business qualifications is what sets him apart from his peers. 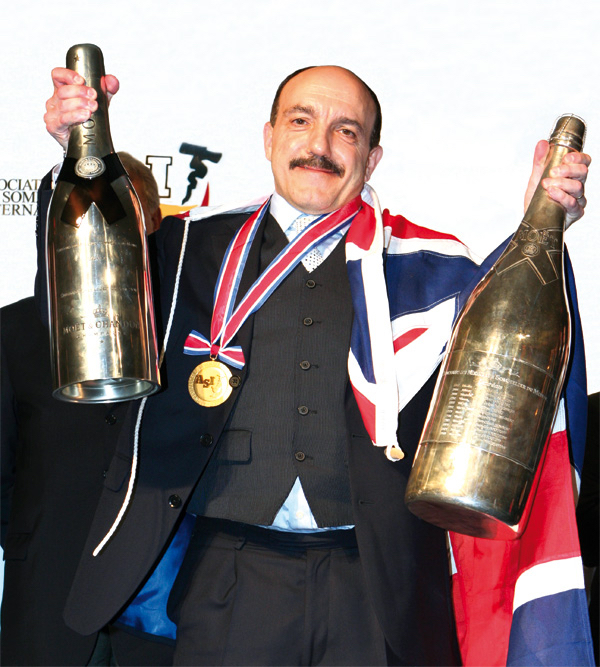 The story of how he finally became World Sommelier of the year as recently as 2010 reads like the roller coaster ride of how an Olympic champion finally got that gold medal around their neck. Basset knows exactly what sommeliers are going through competing in world competitions. In fact it took Basset some 25 years of hard competition before finally getting his personal gold. “I started my first competition in 1985 and finished in 2010,” he recalls. He says it actually got harder with every year as the standard of the competitors increased with each event. 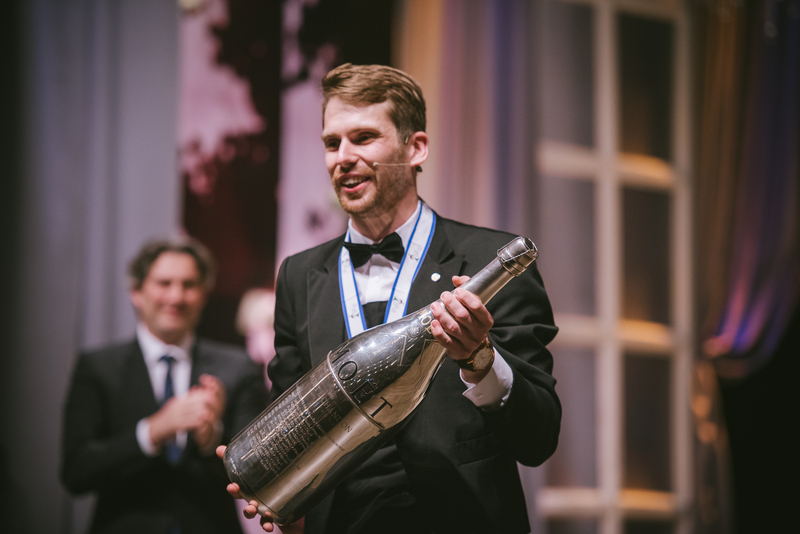 The current holder of the Best Sommelier in the World awards is the Swede, Arvid Rosengren, who is one of a number of strong contenders from across Scandinavia. In fact they are so serious that their sommeliers attend regular training camps for participating candidates to go and hone their skills and mental strength. It is why the sommelier world stands to attention when Basset takes to the floor to chair the proceedings for the latest world sommelier finals. For he has been there, battled, failed (in his eyes), fought back and finally come out on top as the world number one. He knows exactly what it is the contestants are going through and rather than make things even more difficult he is determined to help, support and be painstakingly fair to all candidates. I had the privilege of seeing Basset in action at the last world finals that took place in the intense, packed atmosphere of the grand theatre in Mendoza in Argentina. An audience that was disappointed not to see their local hero, Paz Levinson, make it to the final three, was soon completely in the thrall of Basset as he introduced each of the finalists and put them through a series of tests all played out on the main stage like a series of scenes in a live play. This was drama to (nearly) match that Quarter-Final at Anfield some 38 years later. It is fascinating to hear Basset’s assessment of what it takes to be a top sommelier. To be the word’s best it is not enough just to know your subject matter inside out. You need to be able to teach your body go to another level of performance under intense pressure. “It’s a bit like chess,” says Basset. “You don’t really need to be an athlete to win the world chess championship and spend hours in the gym, but you need to be fit. He also spent a lot of time training himself mentally. As well as reading a lot of motivational books he also worked with a sports psychologist. Particularly after he went through what he says was the “terrible experience” of going to the world finals in Montreal in 2000 as the favourite and then failing to reach the final three. He put that down to not having the time to fully prepare as his son had just been born and he was writing a book, as well as dealing with the usual working pressures. “I was mentally exhausted going there and not as prepared as I would have liked,” he recalls. It was not a mistake he wanted to make again. “I needed to analyse what had happened so that it would not happen again,” he says. So on reading about how the new England football manager at the time, Sven Gőran Eriksson, had used spots psychologists to try and relax and work with the team – to stunning effects when they turned the tables on Germany to beat them famously 5-1 in a World Cup qualifier in Munich – he decided to employ one himself. “I was fascinated by this. For the whole week before this game in Munich, Ericsson and the psychologists worked with the team to say ‘this is only a game, so just relax and go out and enjoy it’. 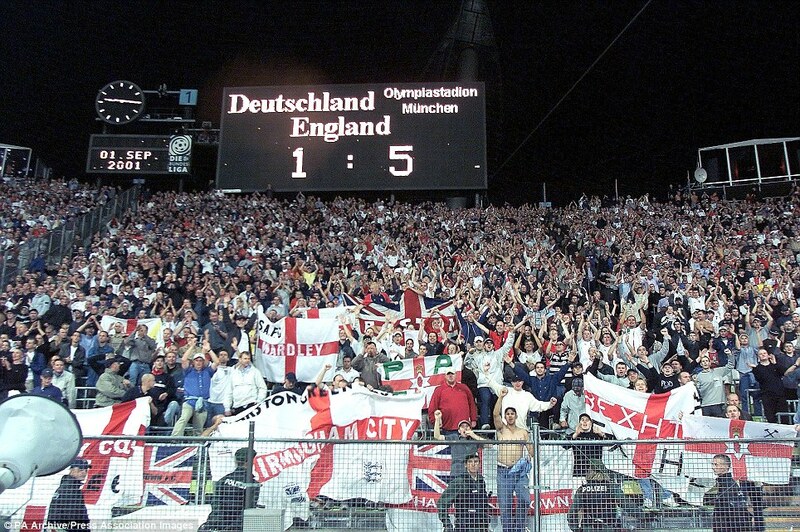 “They did not talk about Three Lions or the Queen. They tried to take away all the pressure so that they had no fear. And the performance was transformed. Basset’s determination to reach the top saw him compete in a further three world competitions, coming second twice in a row, in 2004 and 2007 (where he was equal second), before finally being crowned word champion in 2010. It has not just been sommelier competitions that Basset has been determined to achieve the highest level of performance. Education has also played an important part in his life and is still the only person in the world to be a Master of Wine, a Master Sommelier and have an MBA in wine. Earlier this summer he went a step further and completed the MSc in wine management from the OIV (Organisation de la Vigne at du Vin). With that even Basset seems finally satisfied. “I have achieved my career Grand Slam,” he says. Before quickly pointing out he plans to carry on doing more modules under the OIV scheme and even has his eye on doing the WSET sake course. He also insists all his various qualifications does not necessarily make him a specialist in any one area of wine, but prefers to see himself as a “well rounded generalist”. 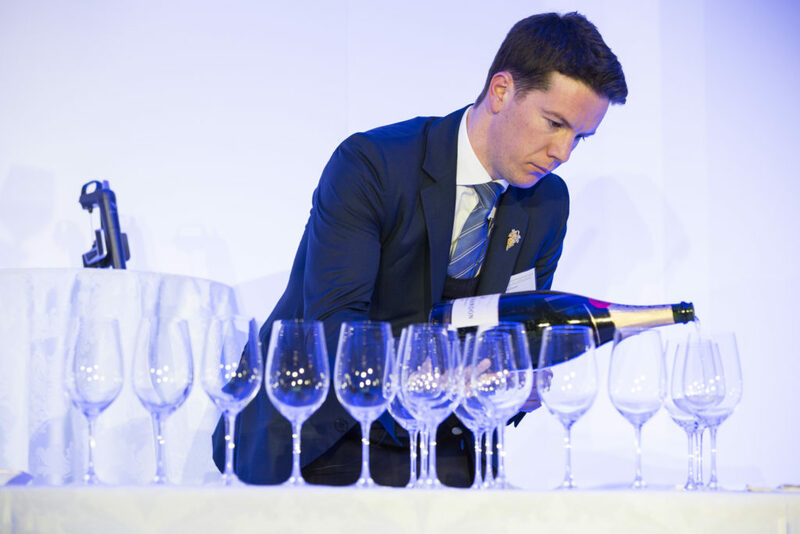 Basset is very happy to act as a mentor and head of ceremonies for future world sommeliers competitions and has recently signed up to another four years at least. 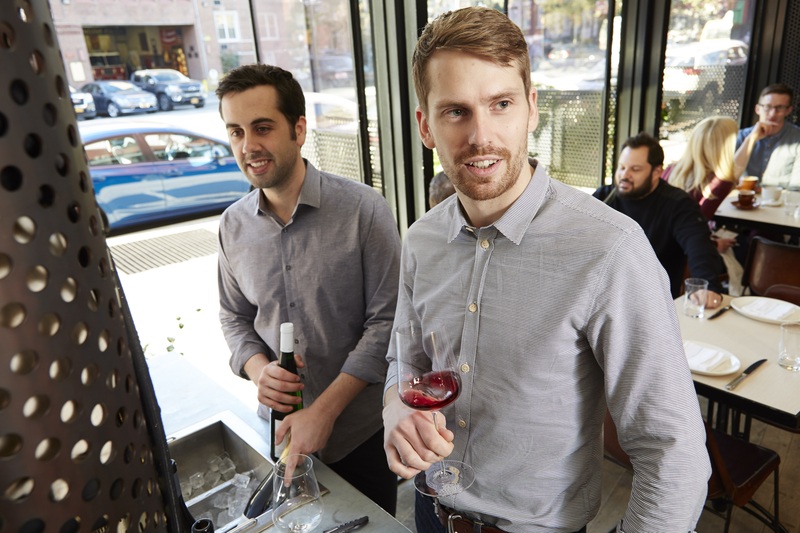 Basset’s focus on the next generation of sommeliers is very much how he runs his own sommelier team at TerraVina. It is a little surprising considering his profile and knowledge that he leaves the actual wine buying to his three strong team, including the head sommelier. His only input being to give them guidelines and a framework to select from. Clearly he is still involved behind the scenes, but it is that delegation of duties and responsibility that he says is vital. “I always leave the sommeliers to do their own selection. Hotel du Vin included. We work with about 10 suppliers, six or seven regularly and then we use specialists who we might order from once a year. People like Liberty, Enotria, George Barbier, Thorman Hunt and Boutintot we use regularly. In fact there are some wine merchants that he is quite happy to take a case of wine that he has not tried because he trusts their palates to find them wines he likes. Basset is also quite candid about the difficulties of running a rural restaurant and hotel outside of the parallel universe of London. “The market has never really recovered since the 2008 recession. It has always been a tight economy and is even more now with Brexit,” add Basset. The New Forest is also not on the main tourist trail for overseas visitors coming to the UK. Instead he relies very much on local trade, particularly at lunchtime in the restaurant. As for hotel guests it is very much British couples looking to explore the New Forest. 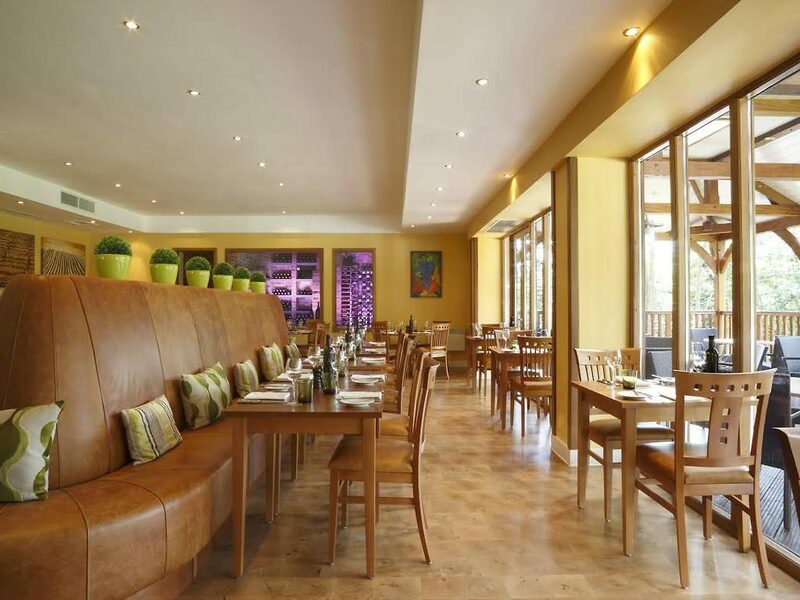 He sees Terravina as being a more “mid market” alternative to the more expensive nearby, Chewton Glen, where his emphasis is “offering very good value”. Despite its 10 years it is a constant challenge to keep re-inventing its offer. 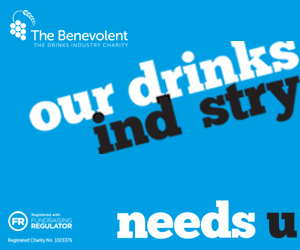 It is, for example, currently offering a special overnight stay for those travelling down to take luxury cruises from nearby Southampton, with the added incentive of leaving your car at Terravina’s car park for the duration of your trip. It is why he ensures the wine list is pitched at the right level to be affordable for all its guests. He estimates around a quarter of his guests will be very in to their wine, but the majority are looking for a quality dinner and night out “and will trust us with our wine selection”. 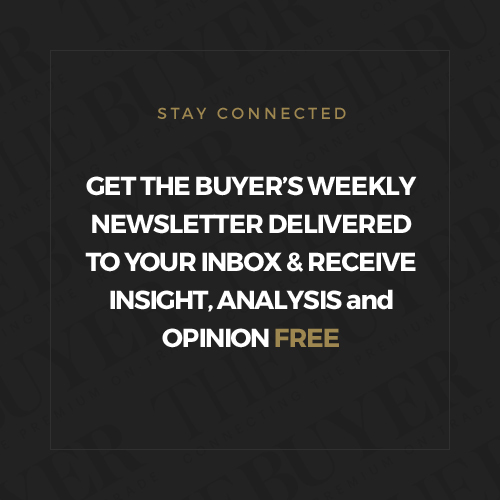 It means the average core bottle price sits at around £30 to £45, which goes up to around £80 to £90 on a Saturday with a lot more wines sold by the glass. As our chat draws to a close he shares one final fascinating insight with me. Outside of wine the one individual who stands as a mentor for him is the former French president Francois Mitterand. Not, he quickly adds, that he ever voted for him. He admires more for his life story that saw him bounce back from numerous defeats and disappointments and to keep going forward. Which in Mitterand’s and Basset’s case has meant reaching the very top of their professions. Gerard Basset died on January 16, 2019. Our thoughts and best wishes are with his wife, Nina, and son Romané. Details about his memorial service and his life can be found at gerardbasset.com. Of the many truly excellent tributes to Gerard, this is the most touching and, in the great man’s own words, “the most well-rounded”.